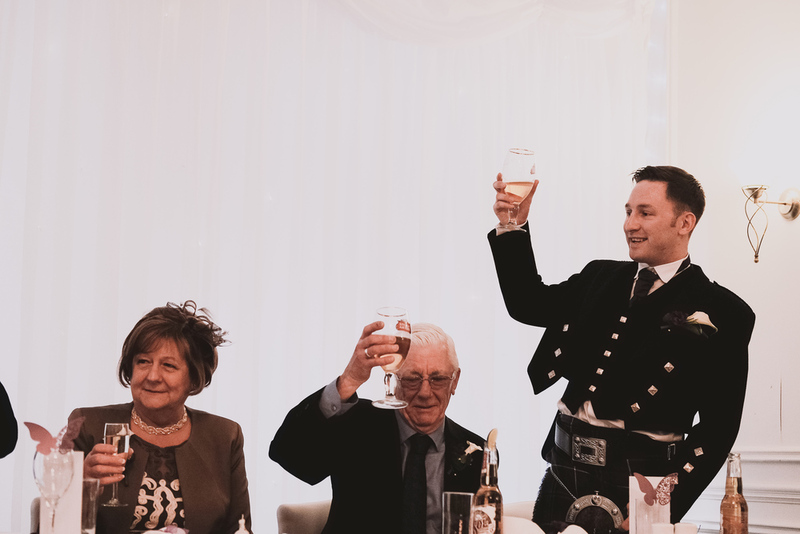 What a wedding to kickstart my 2016 season! 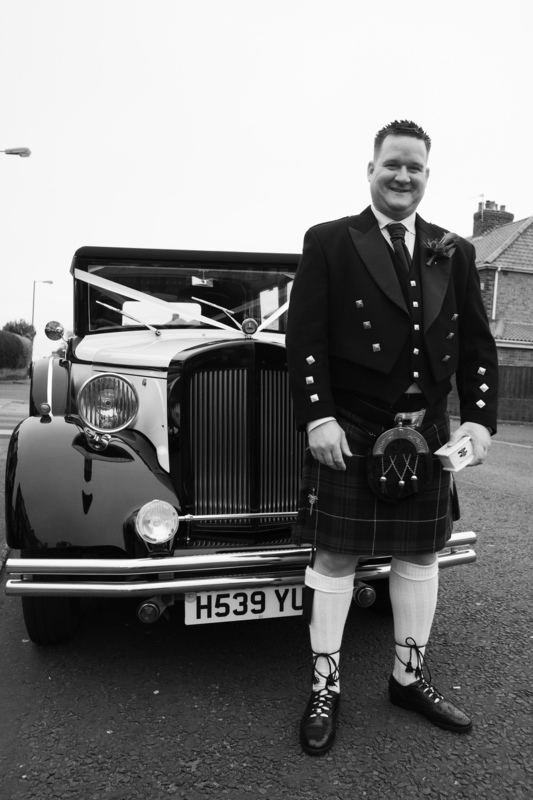 There was laughter, tears, friends, family, alcohol, kilts, bare bottoms, wigs and hats. 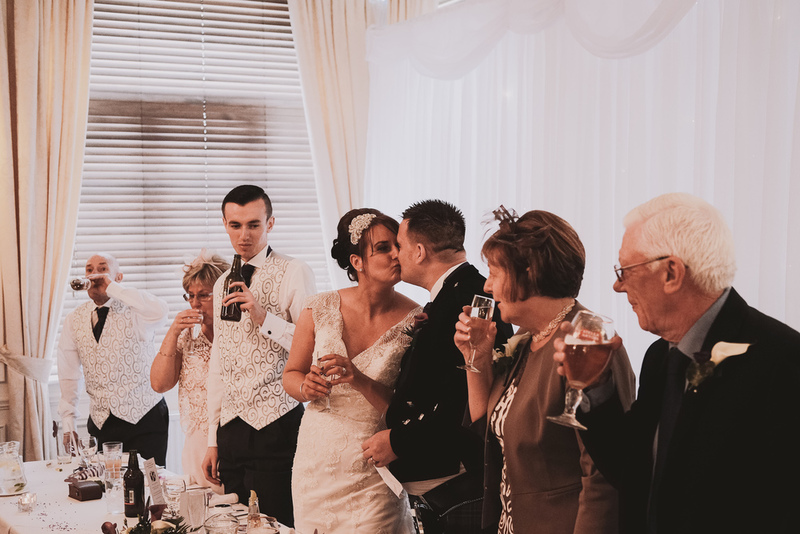 Karen and Martin have such warm welcoming families that it was a real pleasure to spend a whole day with them, photographing their wedding at The Caledonian Hotel. 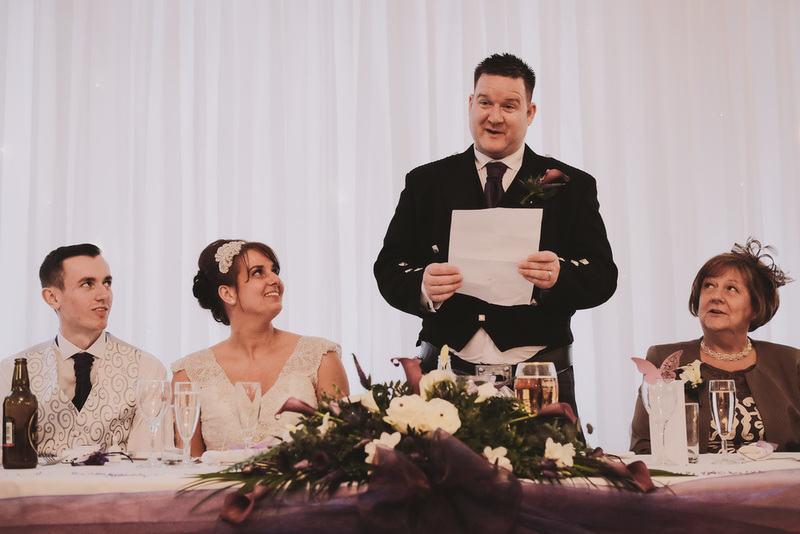 The Caledonian Hotel is a venue I know very well, having conducted dozens of weddings there as a Registrar and photographed a previous wedding there. 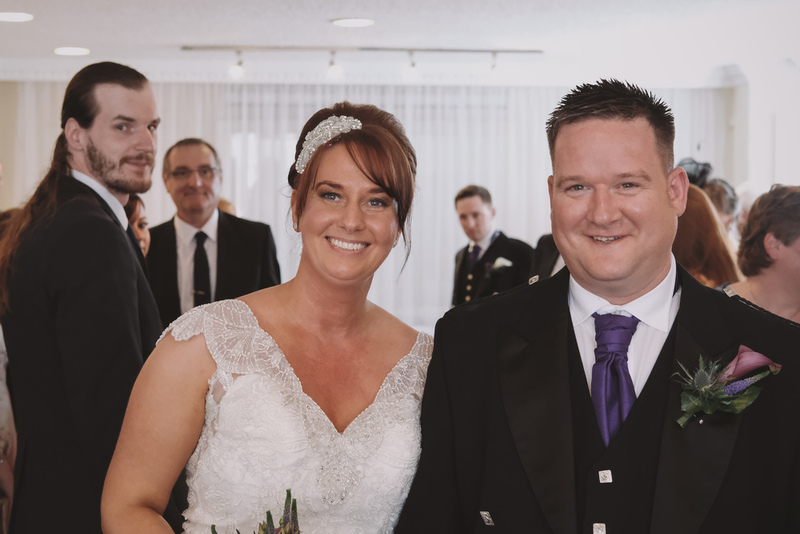 The staff in particular were great and ensured that Karen and Martin were well looked after throughout the day. 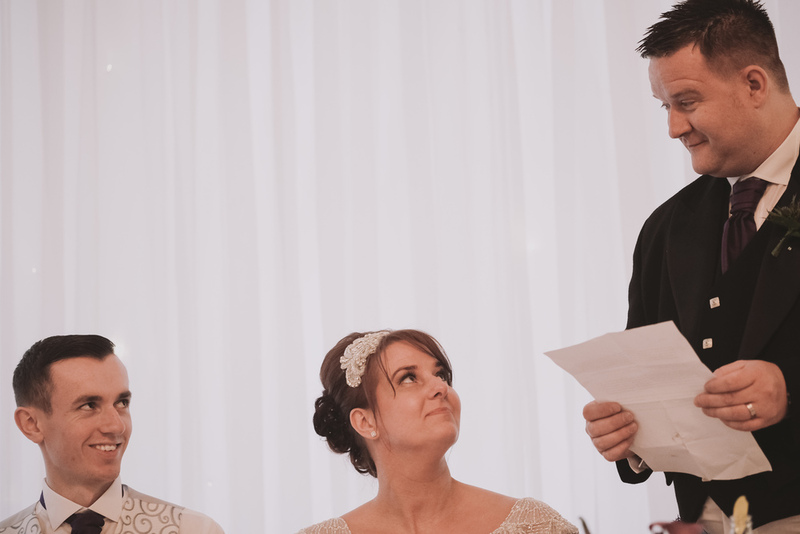 Now that Karen and Martin are back from honeymoon I thought that it was time to share a handful of my favourite photographs of the day. 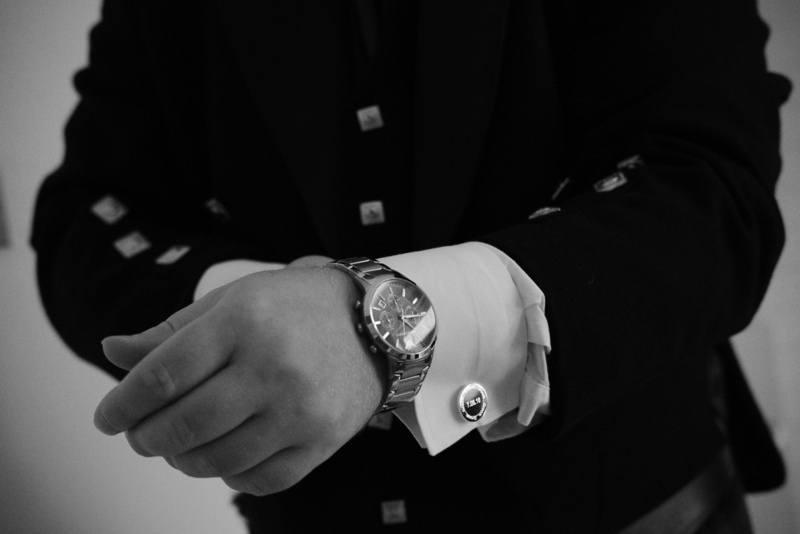 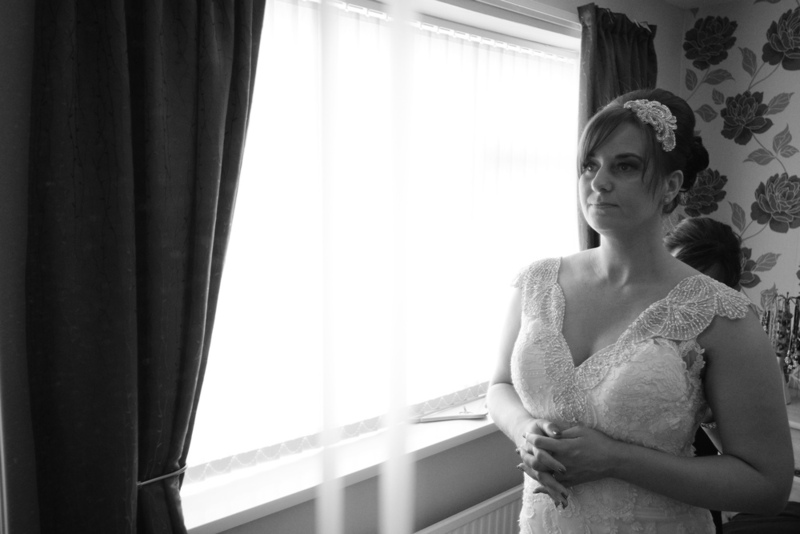 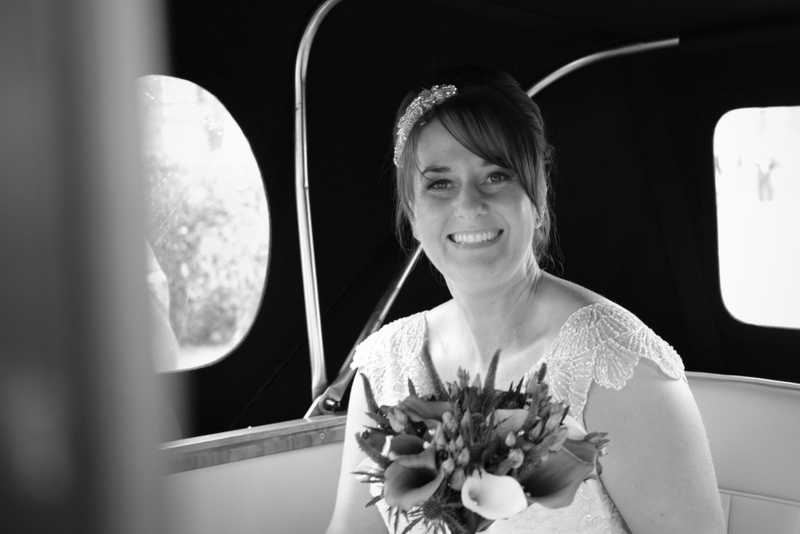 You can see more of my wedding and couples photography on my Newcastle upon Tyne weddings page.